The taxman has time and again urged the income tax assessee to finish the Aadhaar-PAN linking process by the due date for filing of ITR. The Income Tax Department has once again urged income tax assessees to link their PAN or Permanent Account Number with Aadhaar. 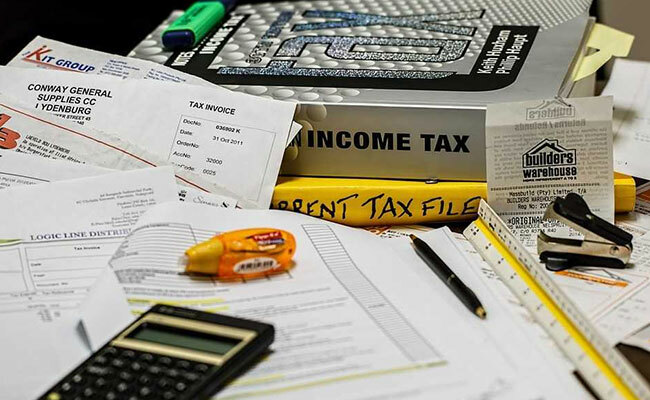 Stating that it is mandatory for income tax assessees to link both the identification numbers by March 31, the Income Tax Department shared tips on various services available to the general public to do the same. 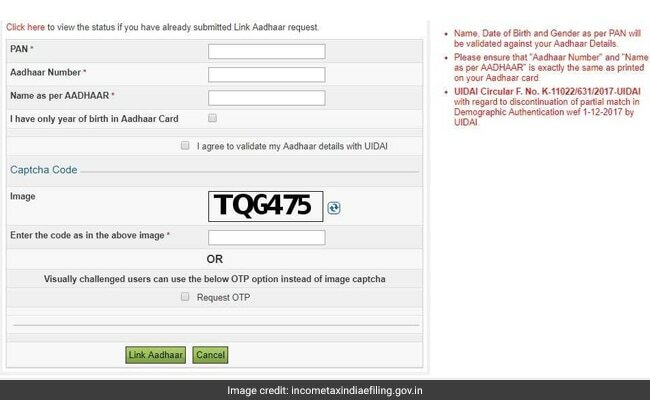 “Link your Aadhaar with PAN today to enjoy seamless Income Tax services online,” the Income Tax Department said in a post on microblogging website Twitter. The Income Tax Department also said the last date to link PAN with Aadhaar is March 31, 2019. The taxman has time and again urged the income tax assessee to finish the Aadhaar-PAN linking process by the due date for filing of income tax returns. The Income Tax Department also mentioned various ways for the assessees to achieve the Aadhaar-PAN linking. Some of these ways are: through SMS, through the income tax e-filing portal and through ITR. An Aadhaar card number can be linked with a PAN card number online through the Income Tax Department's e-filing portal (incometaxindiaefiling.gov.in), according to the taxman. In order to do this, the user is required to click on the "link Aadhaar" option on the portal's homepage to proceed. On the following page, the user can submit a request to link the two personal identification numbers by entering details such as full name along with his or her PAN and Aadhaar. An individual can also submit a request to link Aadhaar number with PAN while filing the income tax return (ITR) online (e-filing). The link of e-filing, according to the Income Tax Department, is available on the websites of NSDL (tin-nsdl.com) and UTIITSL (utiitsl.com), as well as the income tax e-filing portal. A request to link Aadhaar number with PAN can also be registered in the application to obtain a PAN card or apply for any changes in one's information on the PAN card, according to the taxman.